Serving Mobile Device Specific Post Image Size in WordPress is Very Difficult and Either Conflicting Results Come in Hand or SEO Compromised. Removing WordPress Post Image Link was quite easy – just a filter. Actually, we are using the filter – you can see, this post image is not hyperlinked. But the current topic – serving mobile device specific post image size in WordPress is very difficult. That probably not supported by WordPress SEO. XML Sitemaps of Yoast WordPress SEO needs much improvement. There is a conflict with W3 Total Cache in CDN setup too. Otherwise, it works great on Nginx setup. and combine with Removing WordPress Post Image Link tutorial. It is a pathetic way, because – WordPress with 5K+ posts can fail to deliver thumbnail. Instead of echoing return $content; directly, we need to filter the $content;. We have not tested, but logically it should work. Also, you need to work on the Image Width and Image Height. It is difficult to say, how Google will think about the webpage – because the content is changing without any declaration. You should carefully edit the file. It not only serves the basic problem, the image served is optimized and cached. You should test it on dev setup first. This Article Has Been Shared 1838 Times! Follower Count Button for Google Plus Profile is easy to create that will look like Twitter or Facebook Button with Bubble showing the number of your followers. 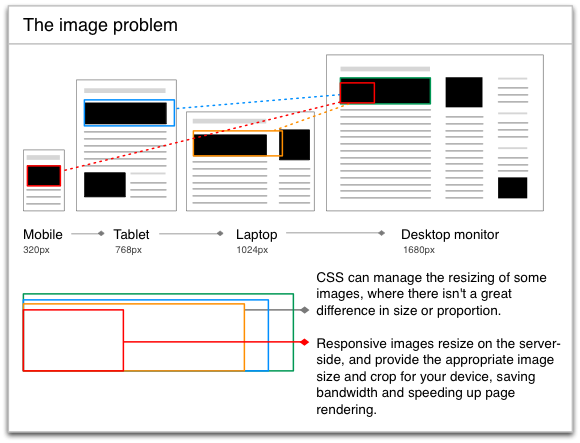 Cite this article as: Abhishek Ghosh, "Mobile Device Specific Post Image Size in WordPress," in The Customize Windows, November 8, 2014, April 21, 2019, https://thecustomizewindows.com/2014/11/mobile-device-specific-post-image-size-in-wordpress/.